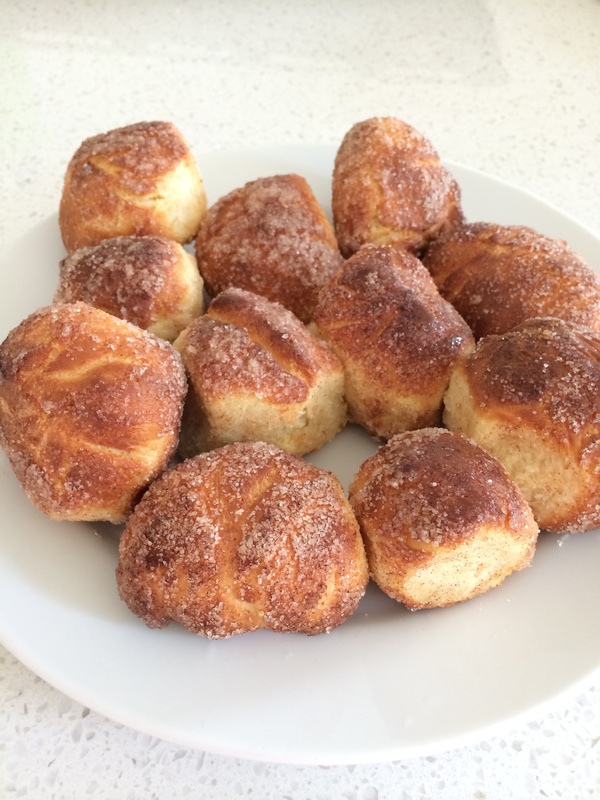 This donut recipe from the community had rave reviews. Allow 1 .25 hrs proving time. Ours are not filled with jam, just dipped in oil and rolled in cinnamon sugar before frying in the airfryer. The result is not quite the same as frying on oil, the texture is more like a mini bun but will make a great lunchbox item. If frying in pan or deep fryer, the donuts are rolled in sugar after they are cooked, might try shallow fry next time to get the full effect. Only took 6 minutes on 160 C in airfryer. Makes 20 about the same size as the small ones you get from the market vendors.